I had the great honour of meeting Joan Kirner AC earlier this year in March. Joan was very supportive and encouraged my on going work in showcasing women of parliament and agreed to be photographed. As soon as I pulled down my exhibition of South Australian female parliamentarians, “let us be up and doing” from the pillars of SA Parliament House, my assistant Megan and I jumped in the car and drove over to Melbourne to photograph Joan Kirner. Joan was very ill with oesophageal cancer after being diagnosed in 2013. She was visibly frail but her mind was active and witty, a sense of humour I could see that would have sustained her during her years in such a male dominated industry, Politics. 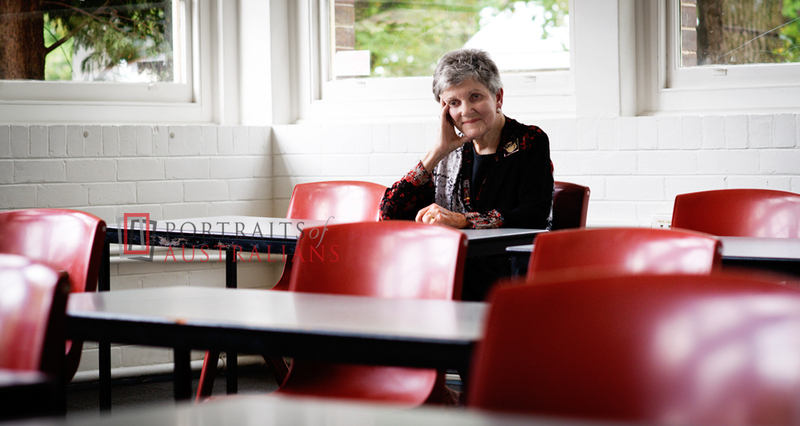 After an unswerving belief in educational opportunities, which she spent many years campaigning for, she was awarded an Order of Australia in 1980. A few years after this she entered Parliament as a member of the Legislative Council. Politics suited Joan and she was good at it, she had a great community ethos and earned many legacies including the establishment of Landcare, the VCE (Victorian Certificate of Education), smaller class sizes and a surge in school retention rates. As a woman who represented many firsts, her most well known first was being the 42nd Premier of Victoria from 1990 -1992. It’s been well documented that she inherited a political and economical mess with a high unemployment rate in Victoria at the time, never the less Joan Kirner stoically gave it her all but was defeated in a landslide, with her dignity in tact. On this day, 19 years ago Emily’s List an active group for women politicians was launched with Joan Kirner as a founding member and together with Helen Creed became the organisation’s inaugural Co-Convenors. Sadly she lost her battle with her illness on the 1st of June this year.